The feeling in your office not only affects the customers and colleagues who stop by, but the employees who dedicate so much of their time helping to grow your business. Cultivating a creative, clean, inviting space is critical for the overall health, happiness, and productivity of your employees—as well as the results for your business. Here’s how clean carpets can have a positive impact on both. Did you know that the average person will spend about one third of their lifetime—or 90,000 hours—working? It’s easy to see how the condition of an office environment can impact someone’s health and well-being. Studies show that when employers focus on the health and cleanliness of an office environment, the productivity, health, and happiness of their employees increases. Makes sense, right? Keeping your office free from allergens and bacteria is a key part of creating a healthy environment and improving indoor air quality. These contaminants are most commonly concentrated in carpet fibers, which makes routine commercial carpet cleaning a must. Recent studies show that people work more effectively in a clean, creative environment. The combination of a positive work environment and healthier employees—which leads to increased quality of work and higher productivity—can make a significant difference for your business. Employees are more likely to be happy with their jobs when they’re working in a positive, clean atmosphere, and clean carpets can help you achieve this goal. You don’t have to break the bank to create a desirable officevibe. Something as simple as regularly cleaning your carpets can pave the way for increased creativity in unexpected ways. Employees will often rise to the standard and expectations of their employers. Show that you care enough to keep the office clean, and they’ll be more inspired to do the same. After all, it’s easier for people to maintain a level of cleanliness already established in an office. 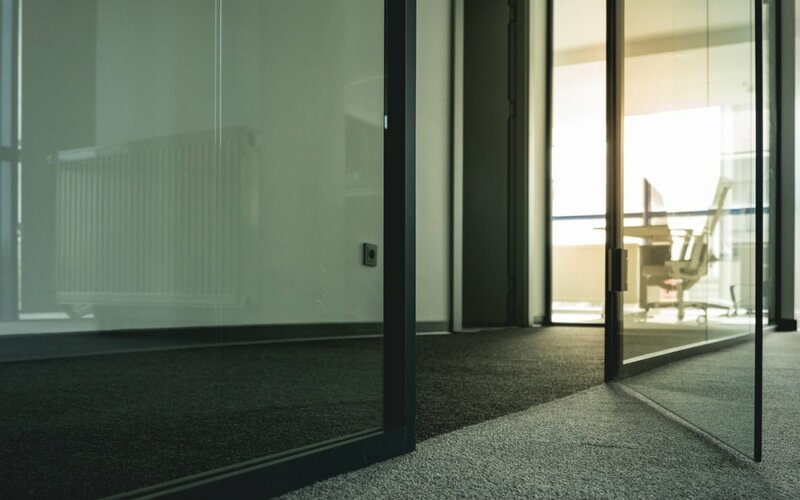 Routine commercial carpet cleaning shows that you care about the office environment, and can help employees take ownership of their workspaces, too. While it may seem simple, commercial carpet cleaning in your office can have a significant impact on your employees and your business. But don’t worry—carpet cleaning doesn’t have to be a burden for you. After all, you have a business to run! 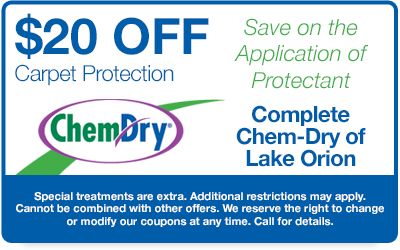 Leave it to the professionals at Complete Chem-Dry of Lake Orion. 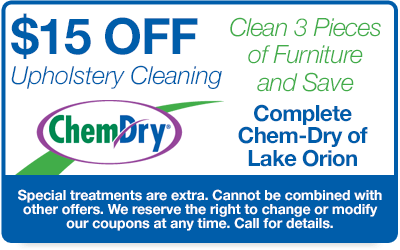 Save on commercial carpet cleaning services with these limited-time coupons!